*Specific Adhesive Strength (SAS) value is amount of force in grams required to produce tensile failure divided by the sample weight. or as an overspray to bond straw fiber. The following are general guidelines only. Consult your distributor for specific site related recommendations. Fill the tank so the lower agitator blades are covered with water. Add the required amount of X-Tack while operating the agitator at high speed. Add water while adding mulch, fertilizer and seed. 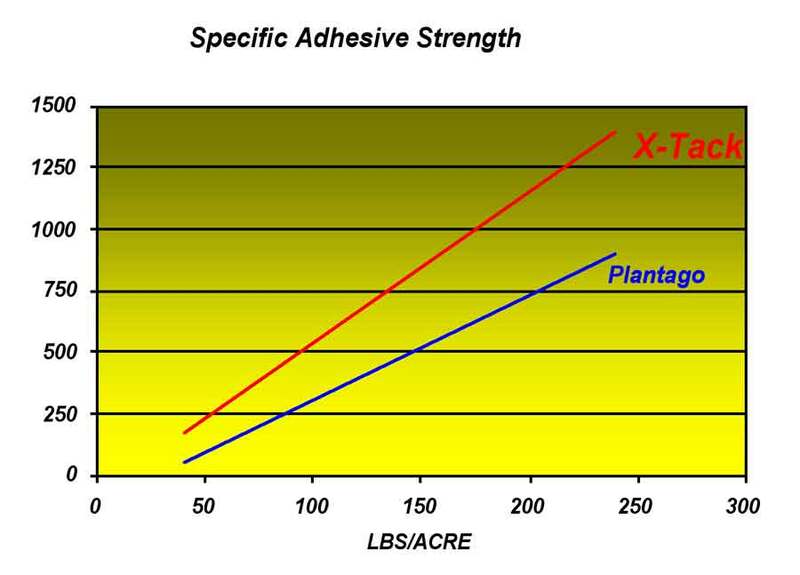 • X-Tack is packaged in 50 lb paper bags, 40 bags per pallet with stretch-wrapped cover and pallet liner.